This Christmas Concert has been postponed to the 12th January 6.30pm, at St Mary's Church Richmond. 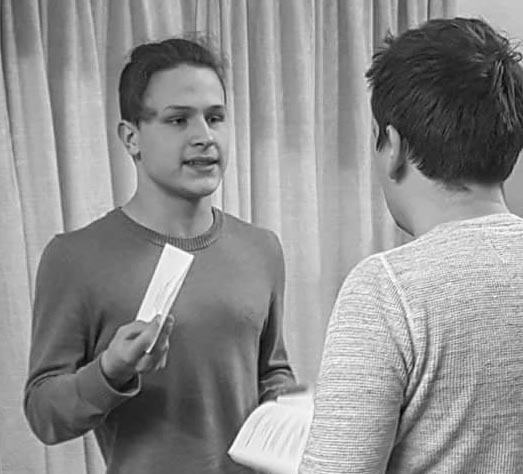 From 21st - 24th March 2018, one of our youngest Platform 1 singers performed in the RADs production of Journey’s End. 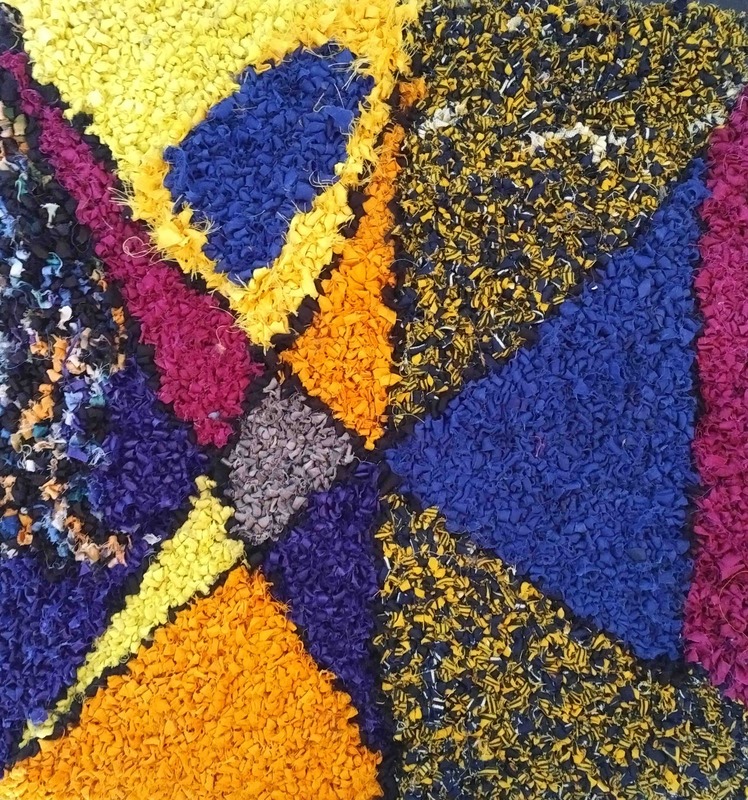 Take a look at the lovely letter sent to us from Rug Aid, thanking us for our support. 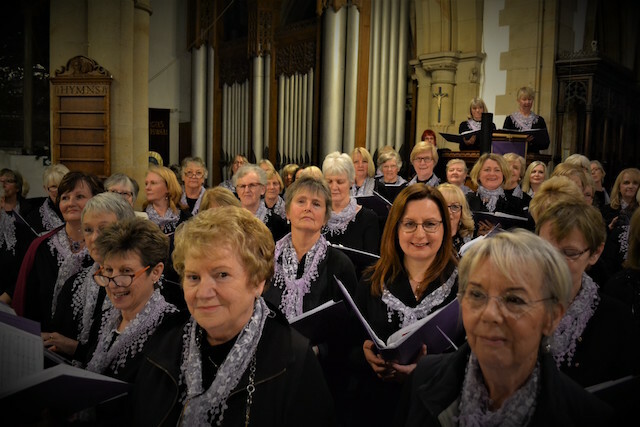 111 Singers were on board for a fine night of singing which raised over £1400 in support of its two charities; St Cuthbert’s Community Hall, Colburn and Rug Aid. The concert took as its theme ‘Songs of the Sea’ and the three community choirs performed a wide range of music from sea shanties to folk tunes, to songs from the shows, and to individual pieces. The evening began with the combined voices singing the gospel song ‘Wade in the Water’, followed by “Sailing and “Take me up the Tyne”. Rehearsals are well underway for our upcoming Spring Concert on Saturday 14th April at 7.30pm in St Mary’s Church Richmond. 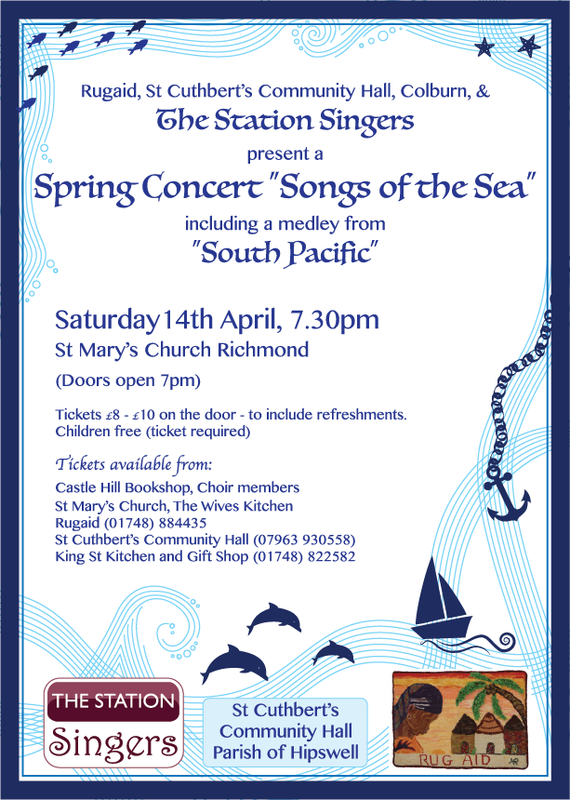 Our general theme is “Songs of the Sea” and our finale item will be a medley from the much loved show “South Pacific”. The charities supporting this event will be Rugaid, based in Reeth, but bringing help to blind and partially sighted people in the Gambia, and The St Cuthbert’s Community Hall, Colburn who run many outreach programmes in the local community, and have recently extended this to include work with refugees. 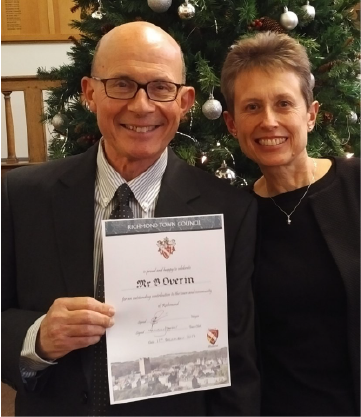 On Monday 11th December 2017, our fantastic accompanist Brett Overin was honoured by the Mayor and Town Council with the Investor in Richmond Award. He has been accompanying choirs and concerts in Richmond on a very regular basis for over fifteen years. His wonderful playing is key to their success in performance. The three choirs of the Station Singers, the Military WAGS Choir, and various ensembles at St Mary’s Church currently benefit from his excellent musical skills on the piano, his commitment and cheerful, encouraging personality. What a well-deserved award. Many Congratulations from us all. 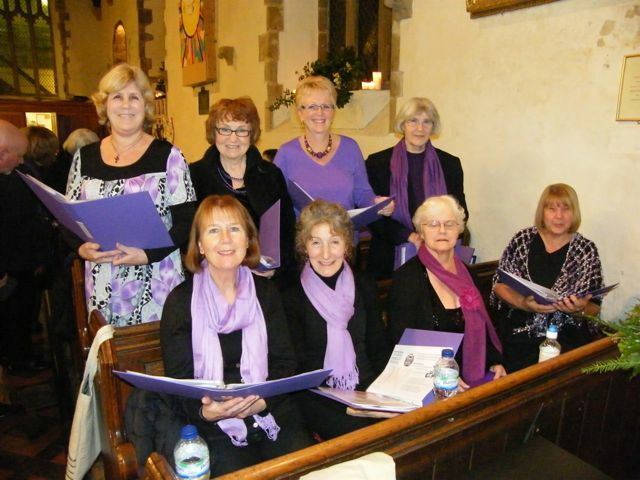 The Station Singers on Song, raising over £1600 for two local charities. The 2017 Christmas Concert with Candlelight was a resounding success. Led by musical director, Carol Gedye, assistant Kay Bromhead and accompanist Brett Overin, the three community choirs joined to provide a joyous evening of Christmas music. The music ranged from Christmas favourites, through new interpretations of familiar carols to complex pieces in close harmony. Adolphe Adam's "O holy night" sung by nearly 120 voices let the audience know what a powerful treat was in store for them. Platform 1entertained with a jazzy setting of "Away in a manger" by Herbert Chappell. Platform 2 sang an exquisite new setting of "In the bleak midwinter" by Becky McGlade followed by "Behold that star" by Bob Chilcott, both with great expression. Branch Line had two beautifully performed winter songs for us "Something told the wild geese" by Andy Beck and "In the face of a child" by John Larsson. The spirit of Christmas was brought to life in a delightful programme. 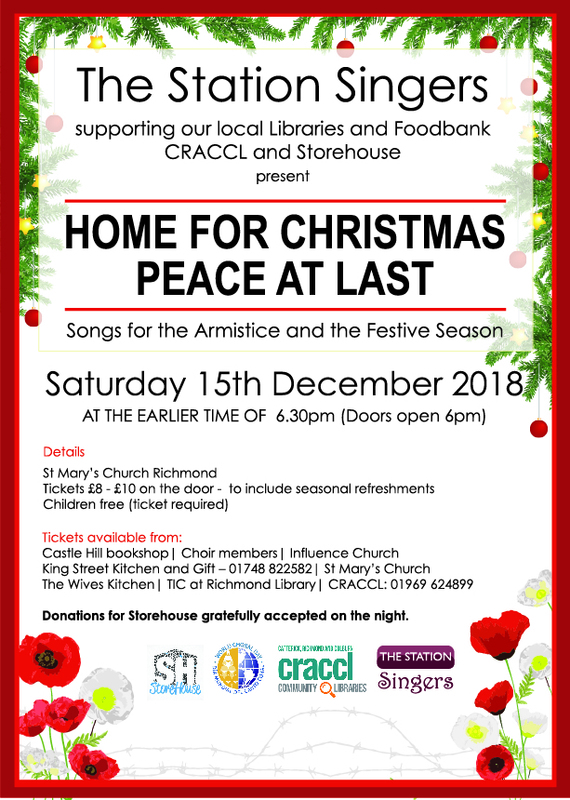 On Saturday 10th December, the Station Singers of Richmond held a very successful concert in aid of the Richmond branch of the Royal British Legion (RBL) and the Royal Agricultural Benevolent Institution (RABI). Under the musical direction of Carol Gedye, and accompanied by Brett Overin, the combined and individual choirs presented a varied and celebratory programme of music from the fourteenth century 'Gaudete', to 21st century songs such as Eric Whitacre's 'Glow' and Janet Wheeler's 'To Bethlehem'. The church was packed, and the appreciative audience joined the choirs in a medley of carols. 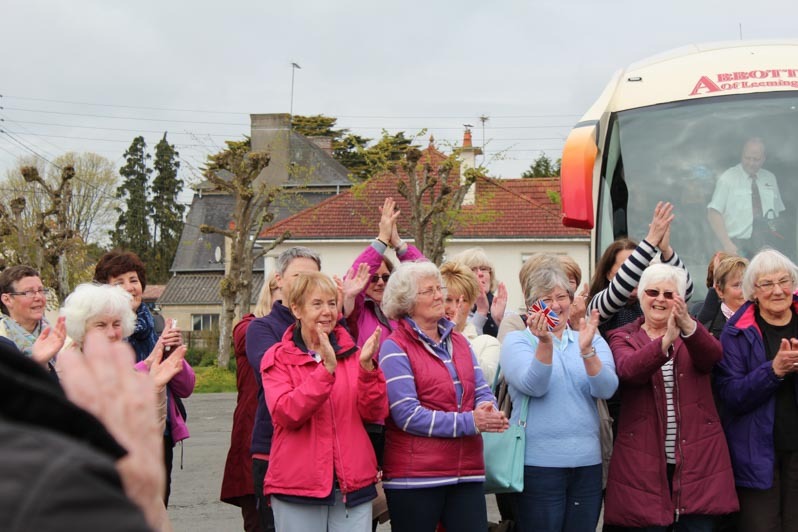 On a very cold and frosty morning on Thursday 28 April 2016, more than 50 members of the Station Singers Tour Choir set off on the road from Richmond via Winchester, Portsmouth and Brittany Ferries, to Caen via Granville to St Aubin du Cormier in Brittany, Richmond’s Twin Town. We arrived at the Champ de Foire early evening on Friday to be met by our hosts from two local choirs, the Saint Aubin School of Music Choir and an A Capella choir called Opus from St Ouen des Alleux, a neighbouring town to St Aubin. 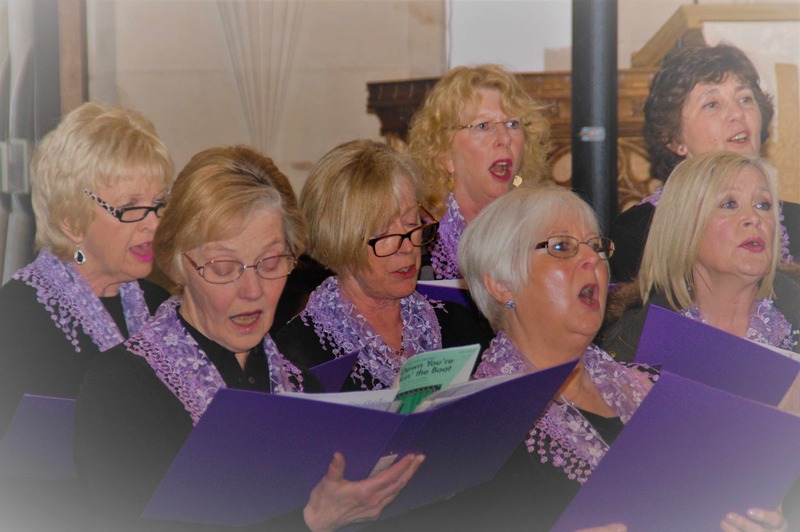 The Station Singers' Spring Concert in aid of St Teresa's Hospice and Herriot Hospice Homecare, raised over £1,400 in support of its two charities. St Mary's Church in Richmond was packed to hear a varied and lively selection of “Songs from around the world”. The audience, in fine voice, joined the choirs in community singing and the evening ended with all choirs singing songs from 'West Side Story'. 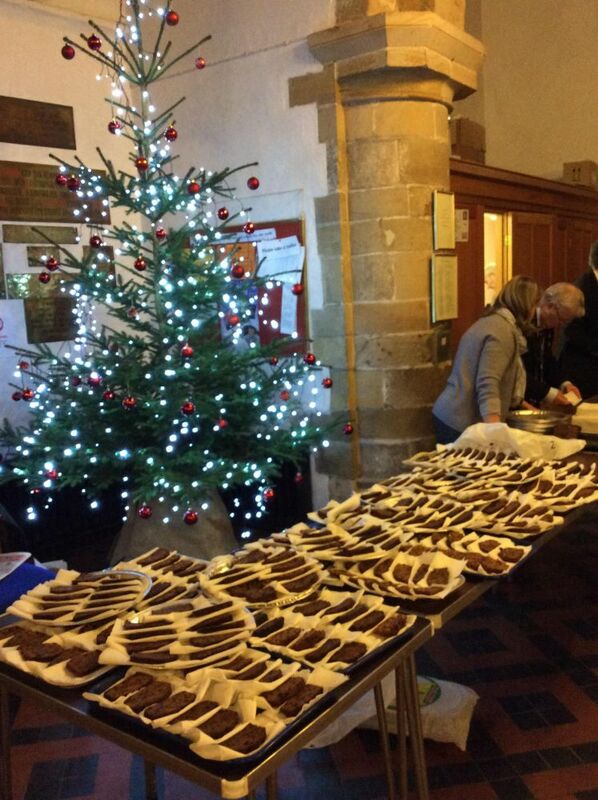 Refreshments were provided by choir members and charity volunteers.